Mohammed Hasan Alwan is an award-winning Saudi author, he has written a number of popular novels including Saqf Elkefaya and The Beaver. His website was full of great content about his works and their reviews, it was, however, quite outdated and needed some refreshing. He approached Aaliah Al Aali and myself for a full redesign. 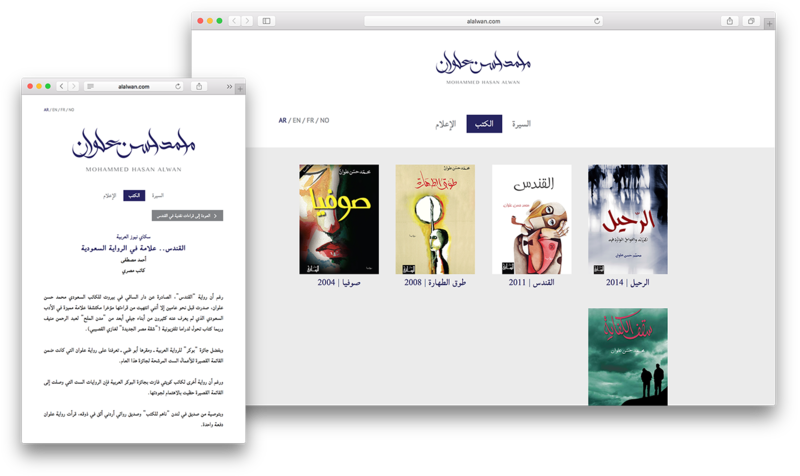 Aaliah created a masterful new identity for Al Alwan, focusing on his brand as an author. 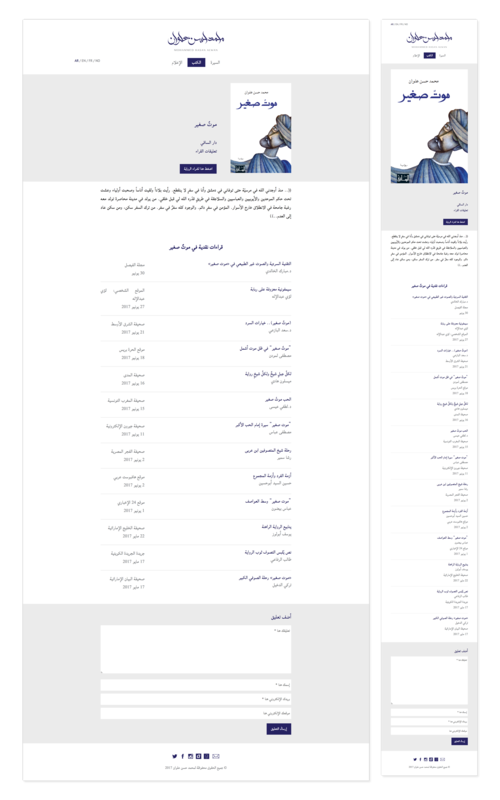 The website redesign utilized the use of Arabic typography, an art form that is appreciated by authors and readers everywhere. 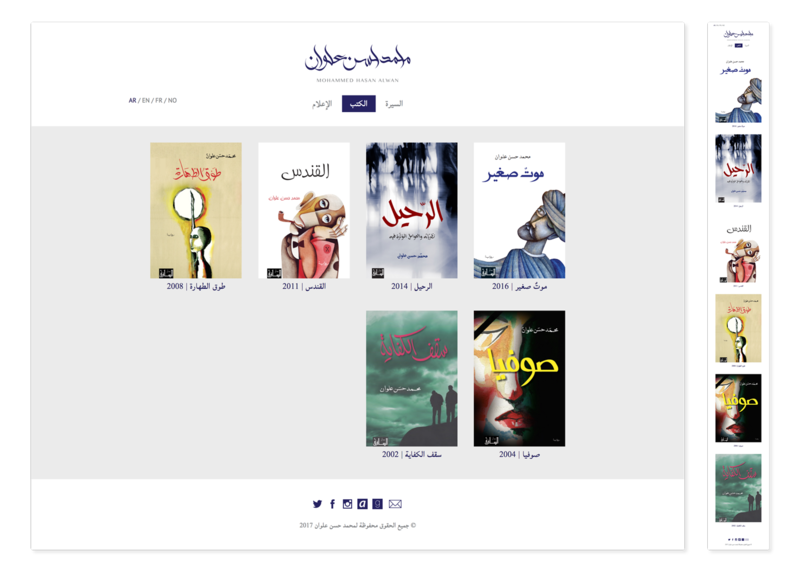 I transformed her concept into a fully responsive website that highlights the author’s latest works and their reviews.